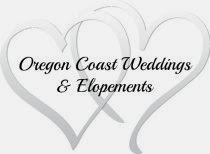 Spoil your loved one with a romantic Valentine weekend getaway on the Oregon Coast and we'll spoil you sweetly. 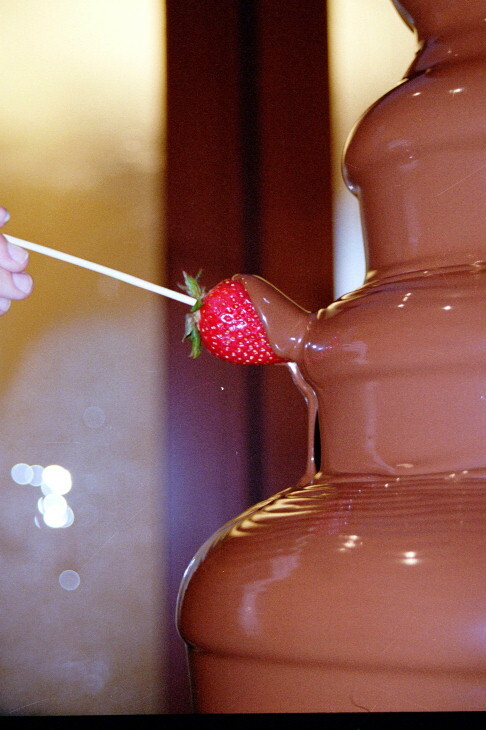 Stay with us on February 12, 13 or 14 and you can enjoy a nightly chocolate fountain feast. Then wake up in the morning to a special breakfast and home roasted coffee or other hot beverage delivered to your door. No need to get up and get dressed, just relax in your spacious room and let us pamper you. Picture yourself and your sweetheart sitting in front of your own fireplace, snuggled warmly in your robe and slippers we provide without a care in the world. Now THAT'S a happy Valentine's! Find out for yourself why Sandlake Country Inn has been named "Simply Sublime" by Best Places to Kiss in the Northwest, "Most Romantic Hideaway" by Inn Traveler Magazine and most recently, one of the top 10 hotels in Oregon by America's Best online. Can't fit in a stay during Valentine's weekend? Give your special Valentine a gift certificate for a future stay. 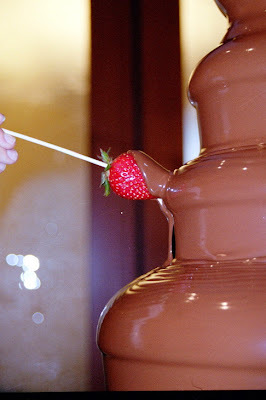 It's two gifts in one...your valentine will love it on Valentines Day and a special treat when you stay with us.